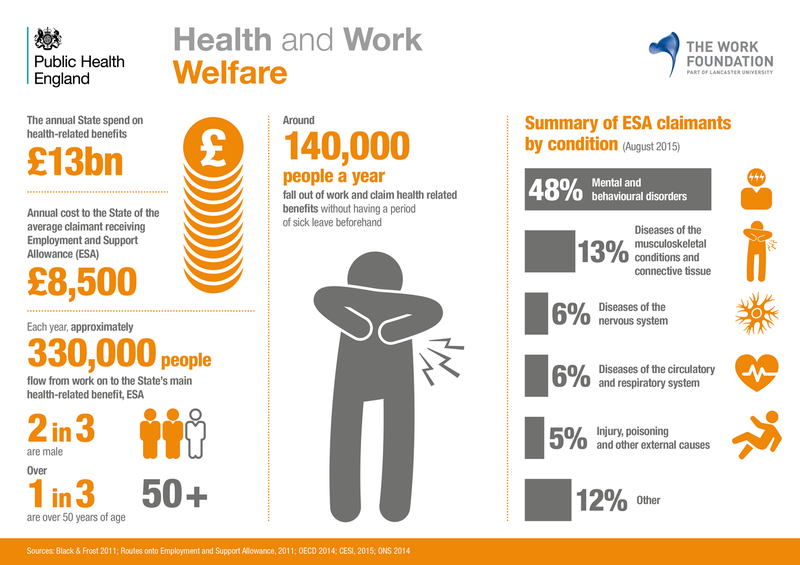 The State spends £13bn a year on health-related benefits, with the average Employment and Support Allowance (ESA) claimant costing £8,500 annually. That’s according to statistics published by The Work Foundation, which finds that each year approximately 330,000 people flow from work on to the main health-related benefit (ESA). Of those, around 140,000 claim benefits without even having a period of sick leave beforehand. Most notably, in a summary of ESA claimants by condition, The Work Foundation revealed that 48% had mental and behavioural disorders. Perhaps this is something that will be addressed, given that mental health is very much in the public eye currently as the country falls in to what is being called a mental health crisis. “Prioritising mental health and building resilience right now is the best way to get through the economic downturn. “Open and supportive workplaces benefit everyone – employees, employers and the bottom line. Weathering the storm together puts an organisation in a strong position. Mind has produced a series of free resources to help improve mental wellbeing in the workplace, which you can find here.